This ring is used to go under the lock / Handle lock to cover the door. 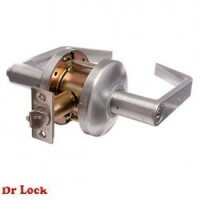 Most common use for this ring is when the lock has been drilled in the wrong spot, or if there is damage to the door which you would like to cover. By using this ring it allows you to have a professional finish when conditions are not ideal or when this is damage. This ring is suited to the commercial handle lock ?3000? 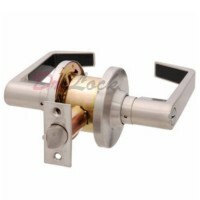 style handle or leaver lock, But is compatible with most other handle locks and deadbolts. Sold separately, you will need to buy two if you want to cover the front and the back.